In Brazil we do have banks that say 30 HOURS. And they're A LOT, by the way. Controlling the very fabric of space and time is good for business. 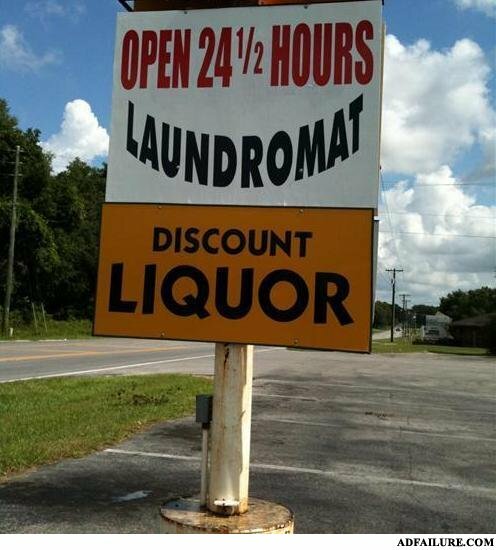 I think the person who made this sign works at the liquor store..
For those who need that extra half hour. Obviously the store is open for 12 hours! Open 24 1/2 hours? 23 1/2 free time? what they don't tell you is that they're open 24 1/2 hours a WEEK. That or it could be the discount liquor. Captcha: you are what you eat. cause it was stapled to the chicken.